Come join Knox Pride for our Bourbon and Whiskey Tasting. There will be an array of Bourbon and Whiskies to try along with food and prizes. Bourbon and Whiskey Vendors: Buffalo Trace, Bulleit, Chattanooga Whiskey Company, Cooper’s Craft, Crown, Five Farms Irish Cream, George Dickel, Jack Daniel’s, Johnny Walker, King Distillery, Knox Whiskey Works, Old Forester, Old Smokey, Postmodern Distilling, Short Mountain Distillery, Slane Irish Whiskey, Southern Comfort, Sugarlands Distilling Company, Tullamore Dew and Woodford Reserve. Food Vendors: Hooter’s, Buffalo Wild Wings, The Hill, Wild Wing Café, Melting Pot, Barley’s and Sugarcoated Diva. Shake it up a few days before Pridefest. Local Celebrities tending bar, Great Beers/Grub + Live Music! It's KnoxPride's 10th annual "NEXT 2 NOTHING FASHION SHOW." We've got beautiful girls & gorgeous guys ready to work the runway in well....Next 2 Nothing. With over 100 pieces of tastefully provocative underwear & swimwear, this will be the largest Next2Nothing in KnoxPride history! Join us at the Concourse ~ Doors open at 7:30 PM! After the show, you have the chance to purchase the items from each of the models! $10 cover at the door or get your tickets in advance online. You do not want to miss this event! Pride has started community events. Come join the community for food and history. We are meeting at in the lobby. Please wear blue or a Pride shirt so we can find each other. The Knoxville Museum of Art is alway free. Come explore a little of what Knoxville has to offer. Come join Knox Pride in our First Bourbon and Whiskey Tasting. There will be an array of Bourbon and Whiskies to try along with food and prizes. Tickets at door will be $45.00. Dress in your finest and join Knox Pride for their annual Mardi Gras Party, hosted by the Edge! Enjoy your evening masked for mystery and dressed to impress, as there will be a Best Dressed Competition with 2 winners, each receiving 2 VIP tickets to Knoxville Pridefest. The entertainment will make this even more of a lavish affair. Watch the decor move as silk acts perform throughout the night. Also enjoy the live music by Jeanine D. Fuller and her band. The king cake wouldn't be complete without it's Queens, so please enjoy performances by Geneva Convention, Mercedes and Vanity Love as well. 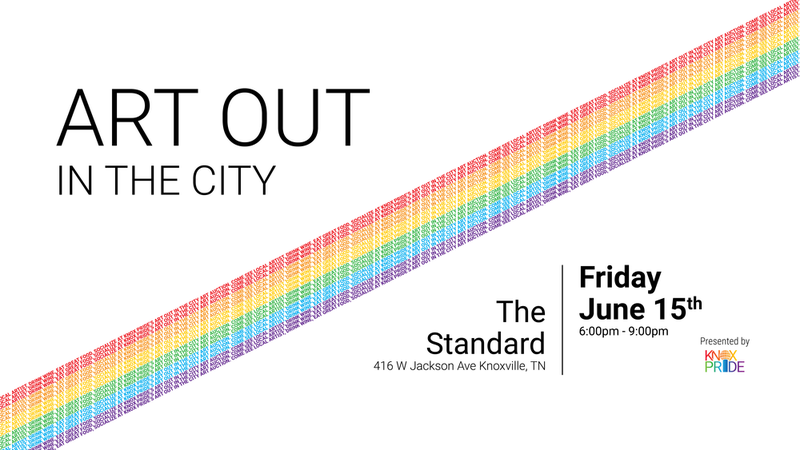 $10 Cover to help support Knox Pride and keep our Knox Pridefest Free! Pride has started community events. Come join the community for Bowling. We are meeting at Main Event on Kingston Pike. Be there at least 15 min early to get your tickets and pick your name.